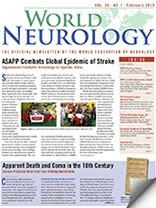 A neurology fellowship is offered by the Memory and Aging Center at the University of California, San Francisco, and the Neurology Department at Yale University (position can be filled at either location) through the NeuroHIV Cure Consortium, which operates numerous neurological research studies in acute HIV infection and cure strategies in Thailand and Africa. The Consortium is a research collaboration directed by Victor Valcour, MD, PhD (UCSF), Serena Spudich, MD (Yale University), and Jintanat Ananworanich, MD, PhD (U.S. Military HIV Research Program). The NIH-funded work gives a neurologist opportunities to conduct research. 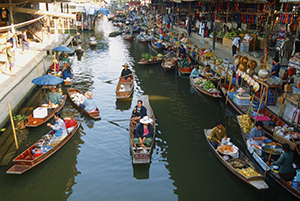 The fellow will provide at least six months of neurological expertise at research sites in Thailand, including neurological evaluation of subjects and lumbar punctures, while developing a personal research portfolio. The incumbent will be expected to actively participate in manuscript preparation and analyses for publication as lead author, and apply for awards and other funding to support continued involvement. The Consortium leaders have extensive experience as career and research mentors and will provide guidance and assistance in data analysis and preparation of presentations and manuscripts, as well as in independent fellowship and grant applications. The position is for one year, with opportunities for extension. The fellowship may be combined with a neurobehavioral fellowship at UCSF.